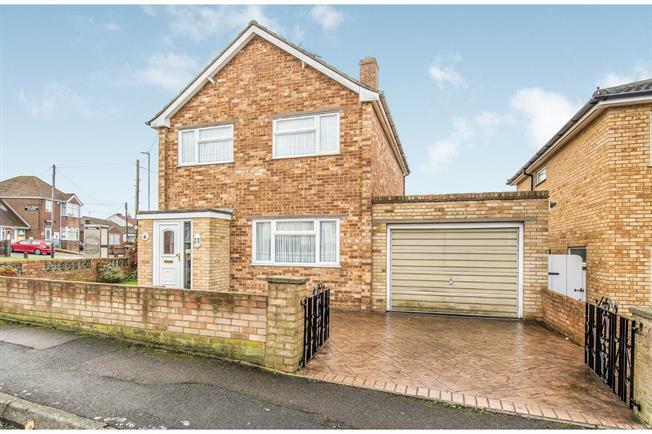 3 Bedroom Detached House For Sale in Sheerness for Asking Price £305,000. 3 bedroom detached drive and garage on a corner plot one owner since new, ideally located next to parade of shops with butchers , pharmacy, one stop shop , grocery and fish and chip shop and next to doctors surgery. This 3 bedroom home provides a lounge with sliding door partition to dining room that overlooks a lovely rear garden. To the side of the dining room we have kitchen and access to garden. First floor offers 3 separate bedrooms and bathroom from the landing.